The 7-seater models released are perfect to comfortable seat a family for a road trip, picking up the kids after dance class or acting as a minivan during carpool days. The shark-inspired design takes us back to the fact how automotive industry always turn back to nature for animal inspirations. The front grille is inspired by the shark’s teeth and the tail lamps are to remind one of the mighty shark’s tail - overall, it’s a clean and clutter-free design. The patented ‘body-on-frame’ architecture offers better agility and handling while driving and it offers a relatively higher suspension of 245mm in the segment and the 17in machined alloy wheels shine bright on the road. The interiors of the car we drove were plush - dual tones with piano black and chrome finishes. The 7-inch Touch Screen infotainment system is equipped with Haptics and Capsense Technology and there’s enough room inside to plug in all your handy devices. 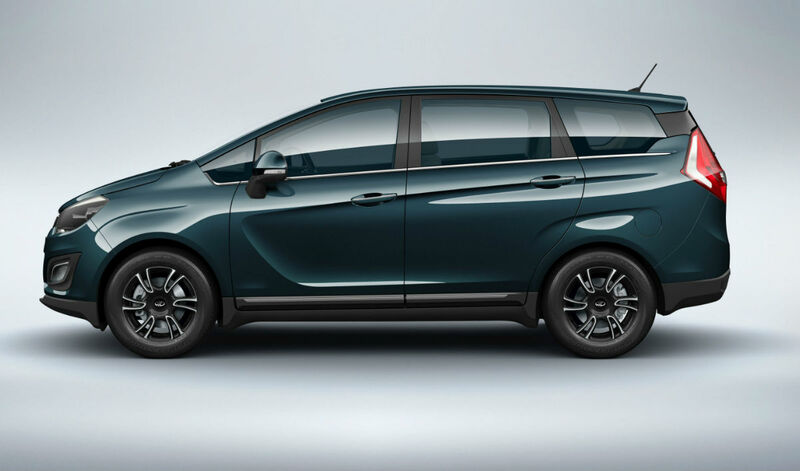 The front-wheel drive of the Marazzo uses a hybrid chassis that combines a ladder frame a monocoque. The 4-cylinder engine that hides under the hood produces 90.2kW (121BHP) power and 300 Nm torque and claims to deliver an ARAI-certified mileage of 17.3kmpl. 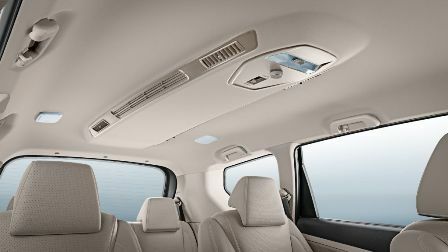 Another first is the ‘Surround Cool Technology’ cools the cabin, yes, but it also diffuses air to cool all three rows of the car so everyone travels in comfort. 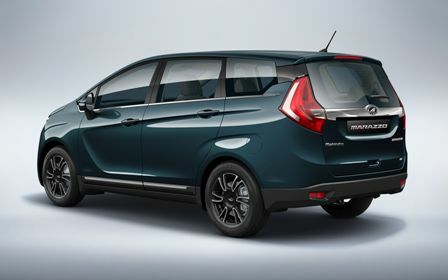 Basic engine sound and vibrations are far less that what we’re used to, even the clutch is way smoother compared to other seven-seaters we’ve driven in the past. 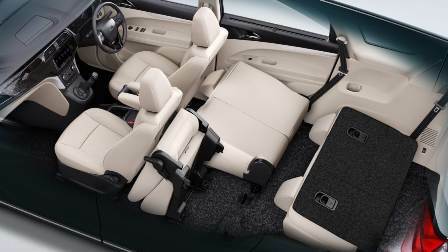 Long distance drives needn’t be painful and the driver’s seat ensures full driving comfort. Goes without saying that airbags are a must in any car. Though the Marzzo comes loaded with dual front airbags, team Mahindra vouches for its overall safety for all passengers. Disc brakes on all four wheels, ABS, a fully boxed frame and impact-sensitive door locks - one isn’t likely to think twice before hitting the highway with the full fam-jam in tow. Mahindra Marazzo is available in four variants - M2, M4, M6 and M8 and six colour options - Mariner Maroon, Poseidon Purple, Aqua Marine, Iceberg White, Oceanic Black and Shimmering Silver. Starting at a super attractive price of ₹9.99 lacs for the M2 variant, ₹10,95,000 for M4, ₹12,40,000 for M6 and ₹13,90,000 (all ex-showroom prices) for the M8, it’s an ideal introduction as the mid-segment MUV. These cars are only available in a Manual variant for now but it’s ok to be hopeful for an Automatic version not too far into the future.